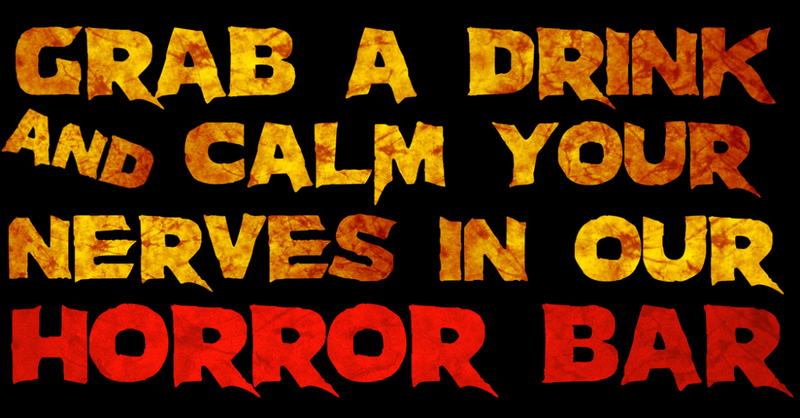 Once you have finished in the scare mazes, sit back, soak up the Halloween atmosphere and enjoy a nice cold beverage in our fully themed Horror Bar. Serving all your favourite branded drinks along with some delicious local cider. 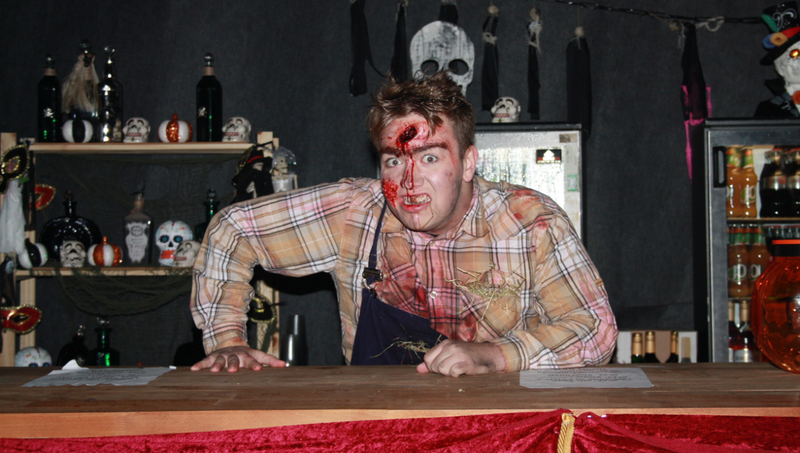 Our horror bar is also home to our famous live scarecams! Watch, laugh and feel sorry for other unfortunate guests, as we stream scares from inside the mazes directly to a big screen in the bar.